Can you confidently say you and your team excel in all of these areas? 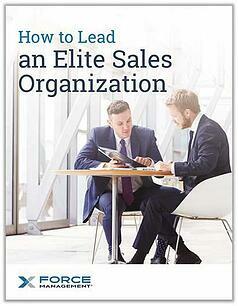 Most organizations struggle when it comes to driving sales productivity. One of the questions we get asked the most is "How do other companies pull it all together? What do they know that I don't?" That's why we've created this PDF; to answer your questions and get you headed in the right direction. Leaders in sales roles have many obstacles to face. Read our insights to help create a sales motion that drives rep productivity and accelerates growth. READ NOW BY FILLING OUT THE FORM ON THIS PAGE.